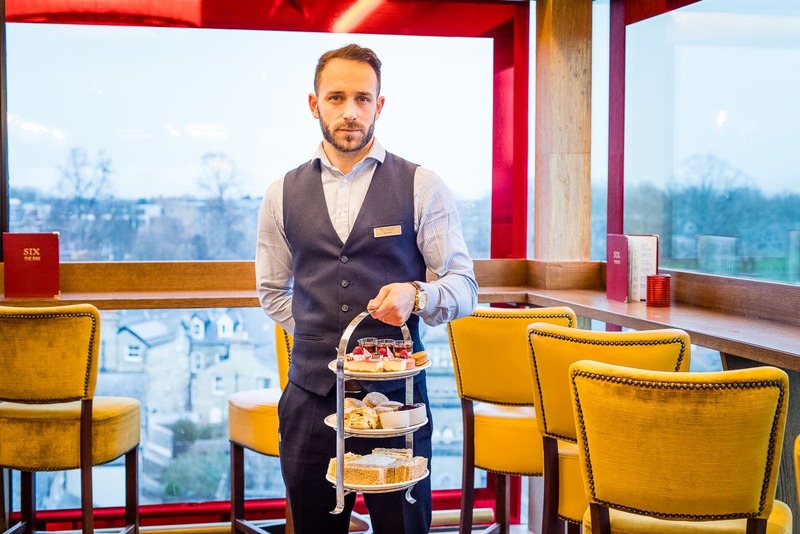 Located on the 6th floor of The Varsity Hotel with spectacular views, try our freshly made finger sandwiches, scones served deliciously warm accompanied by clotted cream, jam and of course a selection of cakes and our speciality tea selection created by our master blenders. We cater for vegetarian and gluten-free Afternoon Tea, our food is made fresh daily please pre-book before arrival. Dairy Free and Vegan options are unavailable. To maintain a consistent environment for our visiting guests we respectfully ask guests not to wear sashes and bring table decorations such as glitter or balloons. Decide between our Traditional or Luxury Champagne afternoon tea, both consisting of a selection of sandwiches, warm scones, homemade cakes and speciality teas. Available to purchase online, all our vouchers can be received via email, post or SMS for your convenience. Treat yourself to a luxurious facial, massage or beauty treatment before your afternoon tea indulgence in our Elemis Spa. Membership benefits include access to our state of the art gym, fitness classes and sauna, steam room and Jacuzzi.